Disclaimer: * Advertised price includes Freight, Inspection charges (PDI-PDE), Registration fees, Government levies (air tax, tire stewardship fees, etc. ), and $10 OMVIC fee. HST and licencing not included. All price and payments are subject to price increase and/or rate changes without notice. Please validate the information with a reprentative first. Learn about our special offers. 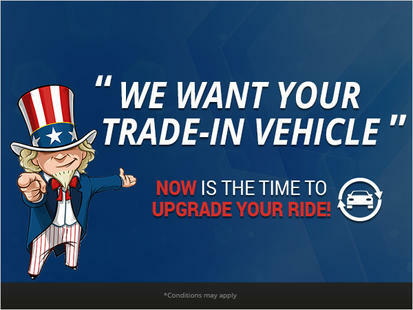 Take advantage of this exclusive offer and get a 3 month trial on equipped new and pre-owned vehicules! 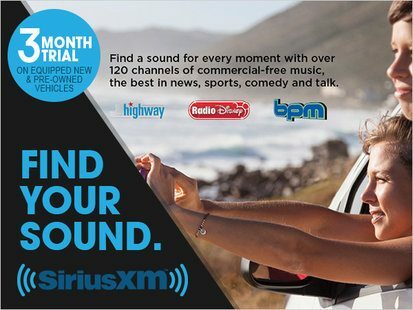 With a sound for every moment with over 120 channels of commercial-free music, the best in news, sports, comedy and talk, driving couldn't be more pleasant. Get this offer now! 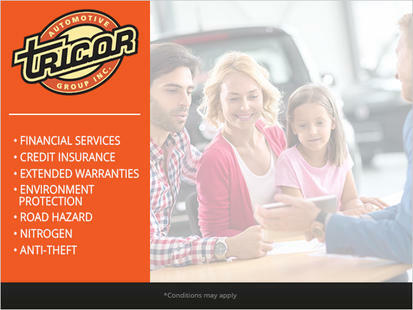 At Tricor Automotive Group, we have everything you need to keep your vehicle in great shape! Here are just a few of the services we offer that can help you and your family get the most of your vehicle, and save money while doing so! Financial Services Credit Insurance Extended Warranties Environment Protection Road Hazard Nitrogen Anti-Theft What are you waiting for? Visit Tricor today, and find out what we can do for you! Now is the time to upgrade your ride at Gyro Auto Group in Toronto! Due to the difference in exchange rate between Canadian and US dollars, American buyers are paying TOP DOLLAR for trade-in vehicles! That's why now is the best time to change or upgrade your vehicle at one of our dealerships. At Gryo Auto Group, we offer the best-value for your trade-in vehicles, bar none! Visit one of our dealerships and get your trade-in evaluation today! The result may surprise you! Send me exclusive offers and promotions. 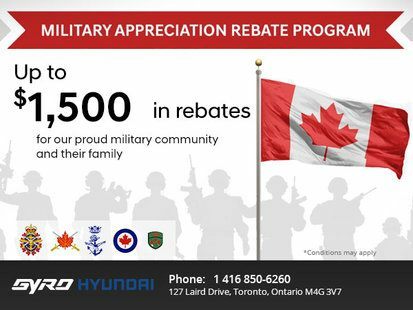 View DisclaimerBy submitting your email address or phone number, you allow us, Gyro Hyundai, to include you on our contact lists to send you information about our products, services and promotions. You may revoke consent at any time by clicking on the "Unsubscribe" link in your email.